Well, if my gen was running and doing everything it is supposed to do, I would be bragging all over the place. I had an epic fail today and smoked about $200 worth of parts and the driver board. I boxed it up and sent it to Matt. LOL. When he gets it all fixed and it is running like it is supposed to, I'll be talking about it. Right now, it has only run long enough for us to do some quick measurements before having one problem or another. I'll bet it was doing some great things right up until it burnt. I know how it is when you are making things from scratch. I hope the windings are okay. It sounds like you might have to double or triple the MosFet handling capacity. That much radiant current will melt a circuit fast. Here is one opened up. Last one left from this guy, he is in Michigan, my old stomping grounds. The MITE-E-LITE coil pack by McCulloch Don't miss out. This website has a collection of other simple experiments from Gerard. Like me he is an old man on our last laps, so to speak. This may be of interest to you. Let me know if you like the video information and want to contribute to the Large transformer experiment from Gerard. All participants in helping with a small donations will receive the detailed test results for energy energy magnification in with Gerard's latest setup. We are only just beginning to see this experiment through and already we have $550 plus a McCulloch Genset, if everything goes as planned. We are in no hurry so look over the materials on this newly formed thread and ask question when you chose. So did you see something in the video I just posted that still has you excited? I must have missed it. Last edited by totoalas; 12-31-2014 at 09:08 AM. In Russ's video he did some testing that was not even close to the Gerard work. Of course it failed for many reasons. The first thing is the a 10X larger power capable HV transformer is used, not a 2 stage transformer system with a transformers that use no oil. Like a car ignition coil uses oil to cool it so does a pole transformer but that is not all oil does when we look at a standing wave. 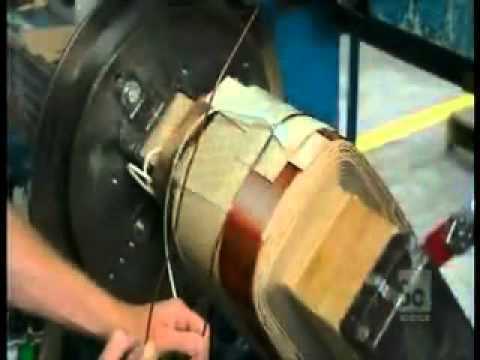 Here we see pole transformer construction. Also I might add that experimenters are winding their own flybacks to reach a given voltage and putting them into oil. I bring this up because to make a smaller version set up keeping the proportions from a 50kva down to a 25kva needs to be calculated. So a smaller version would need to be hand wound in this manner and put down into oil under a vacuum. Using all those transformers is great experimenting. This man says he is going to use this for his Tesla coil experiments. It is very small rated at 3kva. In the picture a 15,000 volt neon sign transformer is used on a smaller scale. Possible 2 different sized neon sign transformer could be sealed in epoxy resins and set in oil. However many non oil filled transformers do not leave room for oil to get around the windings. Also in the pole transformer 2 metals are used, (gerard points this out) aluminum for the low voltage side that need the most cooling at the 100 amp @240vac while the high side running at 15,000vac is made of copper. In the Gerard Pole transformer experiment 2 sizes are used for good reason. First a genset supplies 1/20th of the power needed (1/10th the amps) to MAX the 50kva so using this calculation we can resize accordingly. From the 50kva pig running on 20amps (It can handle 208amps) the energy goes to the second pole trans. starting at the high side and finally stepped down at the low voltage side. Yet we should remember that the second transformer windings can handle only half (100amps) the amps of the 50kva. This will help in the capture and conversion of the first transformers energy output. Matching for translation is big in audio work as well, see cross overs in audio outputs. Last edited by BroMikey; 12-31-2014 at 10:04 PM. $125 no fuss no muss no bother. Going once going going gone. Better hurry. It is in Canada. Not sure when it was posted but it looks to be still there. This one is big in Indiana one place wants $500 shipping watch out for that one. Last edited by BroMikey; 01-02-2015 at 03:34 AM. I contacted the guy in Canada. He responded, but is not willing to go through the hassle of shipping to the U.S. I wonder if it's the same generator? Keep at him. He is afraid it will cost a fortune and you won't want to pay, Probably? I had a 900 pound roll of welding wire sent to me that only cost $99 surplus and the guy told me it would cost twice that to ship it. I didn't care. So shipping might cost $100-$150 so what. Did you tell him that? See many old timers out there don't realize that the shipping price is worth it however pricey. He could hold the GENSET til he got the extra check for shipping cost? Seems like it should be doable. The other guy of course is in Canada but you did not mean him, I know. Sorry but Gerard Morin remember myself when I was a rookie begginer in all this, jumping all around thinking to liberate the world and with no clear measurament or data. I did hundreds of times and always was an mistake in measuraments. Its very difficult to take energy from the vaccum, enviorement, cold electricity etc. with 50 or 60hz. Don L. Smith also state this, at least it would need some parallel LC tank at the HV resonating at Mhz to tap into something. I dont want to discourage, we must to fight until win, I think the Force must to be with us. Most of us feel the same way. HF is better many times. Especially is you have no mass. MASS means something too. These transformers can be 500-600 pounds each. I don't know what to say. We think the generator is special makes it work. Did you see the special windings in this generator? Last edited by BroMikey; 01-05-2015 at 02:43 AM. 10:1 input and 2:1 transformer to transformer. I think you are right and then the generator itself has strange windings. Here is a McCulloch genset 1200watt just across the street from Buffalo New York. 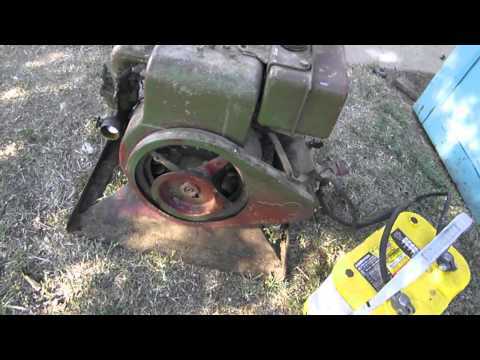 McCulloch 3300 Watt Generator, Works Great!! so, the different thing, about gerard morins experiment, that isnt something usual, that hasnt been done before, so much, is the, generator used? the mccullough one? ive seen the inside of it. Yes that is correct. Gerard said that other normal generators did not work. So this means that we should take a look inside. Of course many who look at diagrams know what a standard generator coil pattern/arrangement looks like. This McCulloch has 2 pancake style winds out of copper ribbon. Gerard said it was important. Here is another super deal right across the street from the USA. None other than the MITE - E - LITE McCulloch genset and she looks really nice. It can't be that expensive to get one shipped over to the USA. HITBY is standing by. Last edited by BroMikey; 01-23-2015 at 09:23 AM. there was a response to the moped picture post. by bromikey. or someone .. like that. maybe the upgrade got rid of it. .. was gonna, respond. said, nice moped, nice paint. something like that. well, showing it cause showing what, and want to who made them motors, what was goign through their mind.